The Janco Directional Drilling Co. Safe Work Policy is based on a commitment to eliminate personal injuries, occupational illness, equipment and property damage, and protect the general public who come in contact with or are impacted by the company and/or its personnel. Management and supervision are charged with the responsibility of administering the policy. They have been delegated the necessary authority and are accountable for ensuring a safe and healthful atmosphere. The Safe Work Policy demands that project supervisors shall give safety their personal attention, effort, and support. Any supervisor, regardless of his position or longevity with the company, who does not accept this responsibility or fail to adhere to the policy and procedures set forth for safety shall be subject to disciplinary action, up to and including termination. 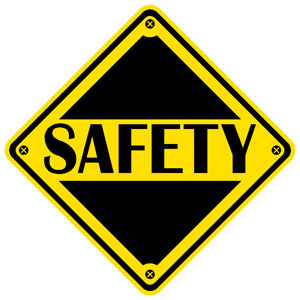 Employees are responsible for knowing and adhering to the policies and procedures established for their safety. Employees are responsible for identifying and notifying supervision of any workplace hazard. Each employee is empowered to refuse to start or continue in any work in which hazards have been identified and adequate safety measures have not been incorporated. All Janco Directional Drilling Co. employees are responsible for and authorized to ensure that Company safety policies and procedures are followed and to terminate and /or report any violation of these policies or unsafe action. Each employee is held accountable for his/her actions and is subject to disciplinary action, up to and including termination, for unsafe behavior. It is a hallmark of both good business and competent leadership to prevent accidents and injuries. Any employee has the authority to shut down or refuse any job that they deem unsafe or at high risk. To maintain our enviable place in the leadership of our industry, we must and will be successful.